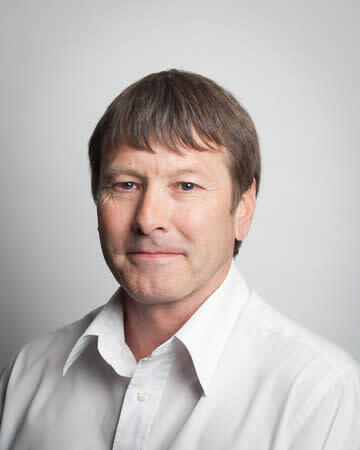 Rob Powell, 57, whose BT career spans 35 years, has just been appointed BT regional partnership director with special responsibility for working with local organisations and communities on major initiatives, such as the multi million pound roll-out of high-speed fibre broadband. The job also involves a leading role on BT’s Yorkshire and Humber board – a team of 13 BT senior executives – all of whom live or work in the region. The company, which employs more than 6,500 people in Yorkshire and the Humber, is one of the region’s largest private sector employers and investors. Rob said: “Yorkshire and the Humber is a wonderful region offering tremendous opportunities for the people who live here. I am determined to do all I can with BT to unlock that huge potential in order to help local communities benefit fully from the technology revolution. “I’ve worked at BT for along time and in that time I have seen technology change and develop at a pace very few imagined. I see the great benefits that technology can bring on a daily basis and I will do everything I can to ensure that Yorkshire and the Humber can make the most of our considerable knowledge and resources. “Already, BT has brought fibre broadband within the reach of millions of homes and businesses in Yorkshire and the Humber, via its own commercial roll-out and the five partnerships with local authorities across the region, whilst Bradford has been chosen as one of the trial sites for the next generation of ultrafast broadband services for businesses. He lives with his wife, Denise, and has two daughters; one is studying nursing at Sheffield Hallam while the other is in her second year of a veterinary science course at Bristol University. Rob replaces Dr Trevor Higgins, who has held the BT regional partnership director role for more than 13 years. Dr Higgins is leaving BT to concentrate on roles on the Digital Health Enterprise Zone (DHEZ) board, the board of Bradford Hospital and as chief executive of Bradford Breakthrough. He said: “After working for BT for over 45 years I have decided that it is time for me to move on to pastures new. In my role at BT I have had the privilege of working with some of the finest and most talented people from across all sectors of the region. “I am delighted that I am passing the role into Rob’s very capable hands. He has a depth of experience, right across BT, which I am sure he will utilise to the full extent in supporting our great region.